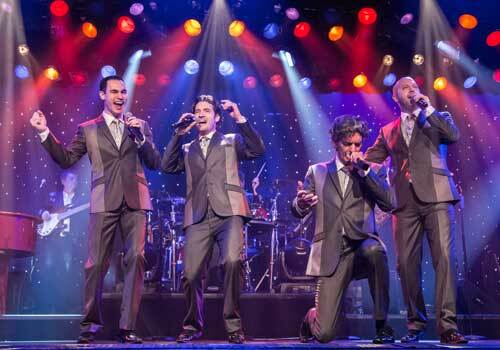 Winner of multiple awards, including “Show of the Year,” “Quartet of the Year,” “Entertainers of the Year,” and more, Grand Jubilee offers a dynamic live show featuring talents of the New South quartet, power vocals of Jackie Brown and comedy from Jamie Haage and Mike Patrick. 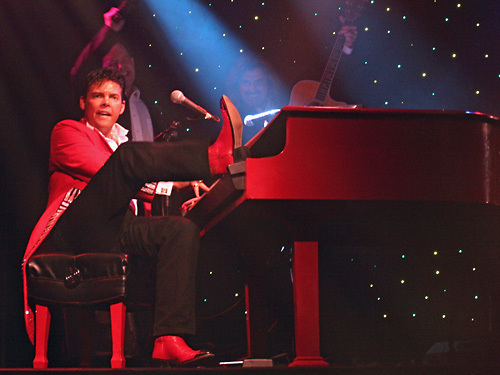 Guests can enjoy songs of the Oak Ridge Boys and the Eagles, as well as country classics and gospel pieces, and more. Enjoy a variety of music performed in this award-winning production. Features Branson's Best Quartet, "New South." 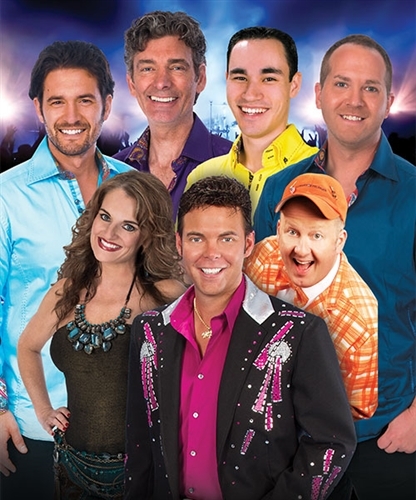 Voted Best Variety Show, audiences fall in love with the tight harmonies and dynamic performance of Branson’s BEST Quartet, New South! From Country and hand-clapping Gospel to decades of Rock & Roll favorites, the Grand Jubilee surpasses expectations of any age. Comedy is abundant! 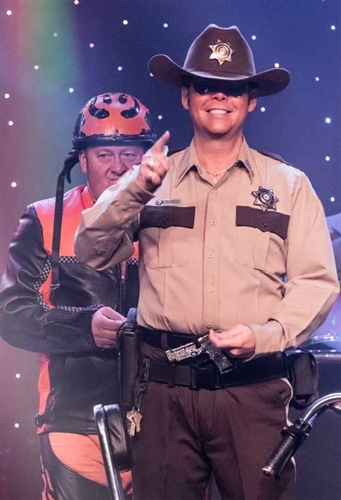 Jamie Haage, as Jim Dandy and Emcee, Mike Patrick, will keep you absolutely doubled over in laughter. Along with power vocals from Jackie Brown, this show is a bomb with the fuse lit. 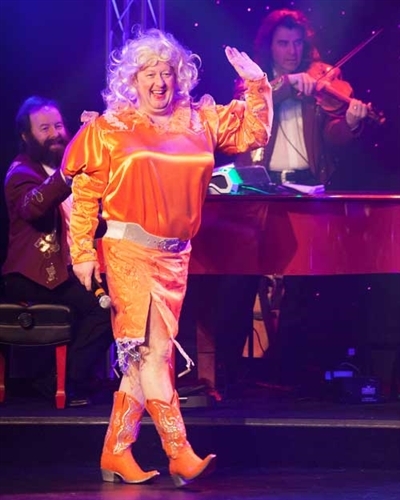 Having won “Branson’s Best Variety Show”, “Quartet of the Year”, “Band of the Year”, “Comedian of the Year”, “Emcee of the Year”, “Fiddle Player of the Year”, “Bass Guitar Player of the Year”, “Piano Player of the Year”, “Guitar Player of the Year”, “Drummer of the Year” and “Steel Guitar Player of the Year”, it’s not hard to see why Grand Jubilee is the one show that will stay with you long after your vacation is over. 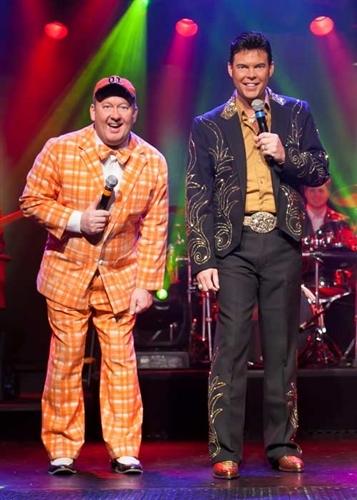 It’s Branson’s most entertaining show… ask anybody! What is the size of the Grand Country Music Hall, home to Grand Jubilee? The theater has 476 seats. There are a total of 20 rows. What is the length of the intermission at Grand Jubilee? The parking at the Grand Country Music Hall is flat, level parking. Approximately how long is the Grand Jubilee show? There is a pre-show at the Grand Jubilee and it begins approximately 20 minutes prior to show time. Yes. Visitors can meet and greet the performers of Grand Jubilee at intermission & after the show. Are cameras, audio or video recording allowed at the Grand Jubilee show? Still photography is allowed. However, audio and video is strictly prohibited. Video of the show is available for purchase. Where is the Grand Country Music Hall located? We’re located in the same building as Grand Country Buffet. Therefore, there’s added convenience to add lunch or dinner to the experience. Also, we’re the only theatre open year-round to enjoy high quality entertainment. There is disabled seating available and our theater is completely handicap accessible.